Grow Up and Accept Responsibility! 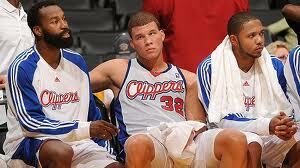 The Los Angeles Clippers started the season hot, sparking debate about "who's the best team in L.A. But things have changed and if not careful, they'll find themselves with a new coach, victims of the 'the coach lost the team' epidemic. I was watching ESPN the other day while working out (I can hear all of my bootcampers telling me to ‘Stop Bullshittin’!) and one of the stories was about the Los Angeles Clippers, who after a start to the season that promised (and showed) great potential, have seemingly taken their rightful seat next to Kobe Bryant and the Lakers as the ‘other’ team in Los Angeles. 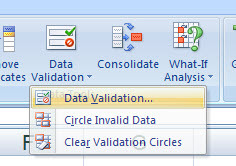 In part one of this Data Validation series, I showed you how simple it is to add validation to your spreadsheets, increasing the ease and accuracy of data entry. 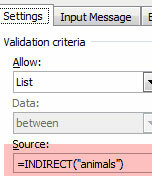 In that post, I showed two ways of limiting the allowed values for any particular cell. The most straightforward method involves entering the values directly into the source box. 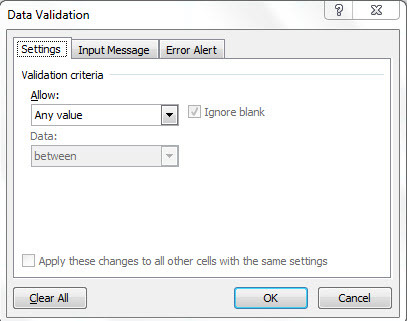 Alternatively, you can enter the allowed values in a column somewhere else on the spreadsheet and then refer to that range of cells in the validation window. The downside to this method is that you must list the values on the same spreadsheet as the field on which you are applying validation, adding unnecessary clutter. 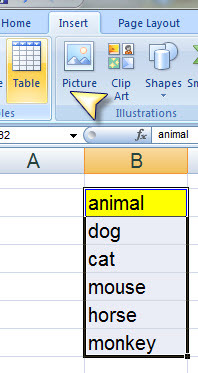 Of course, as I mentioned, you could hide the column or put the values well off of the visible screen (e.g. column ZZ or something like that), but you’d have to unhide the column or scroll over to the far right of the spreadsheet every time you wanted to update the list. That is obviously not ideal.